Do you love the foothills & being surrounded by nature? Want to escape the hustle & bustle of the metro area but stay somewhat close to it all? With small town amenities and all sorts of fun things to do, this wonderful Bailey home meets all the needs of your active & busy lifestyle! 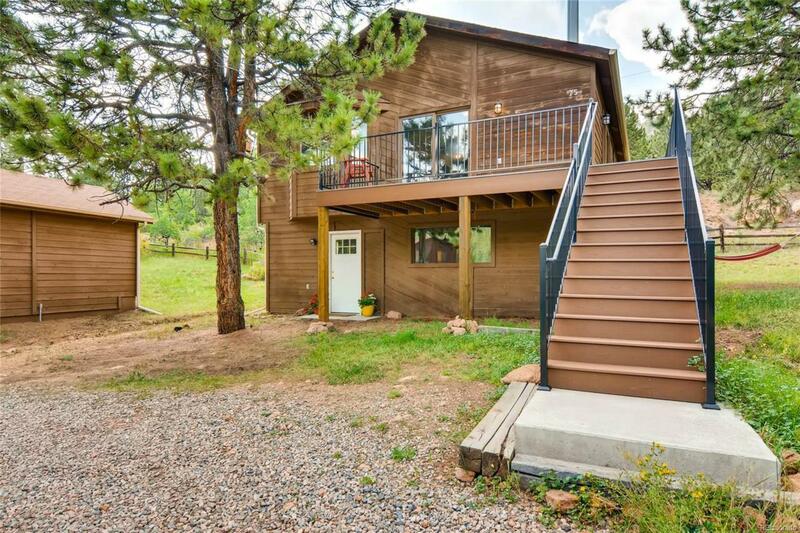 Located just 8 miles from Conifer, 20 miles from Morrison & within close proximity to more mountain peaks than you can count, Wisp Creek runs through nearby and convenient 285 can get you almost anywhere in no time. On site you will love the open floorplan, vaulted ceilings, cozy fireplace, wraparound deck & 10,000+ sq ft lot. With 4 sizable bedrooms & 2 big bathrooms, plus a blank canvas of a kitchen, and spacious living & dining areas, you may also choose never to leave the comforts of your own home! Recent updates include 5 new ceiling fans, carpet & paint, a brand new H20 heater & more. Spend more time enjoying nature & the outdoors and less time working on your house. Schedule a showing this weekend!